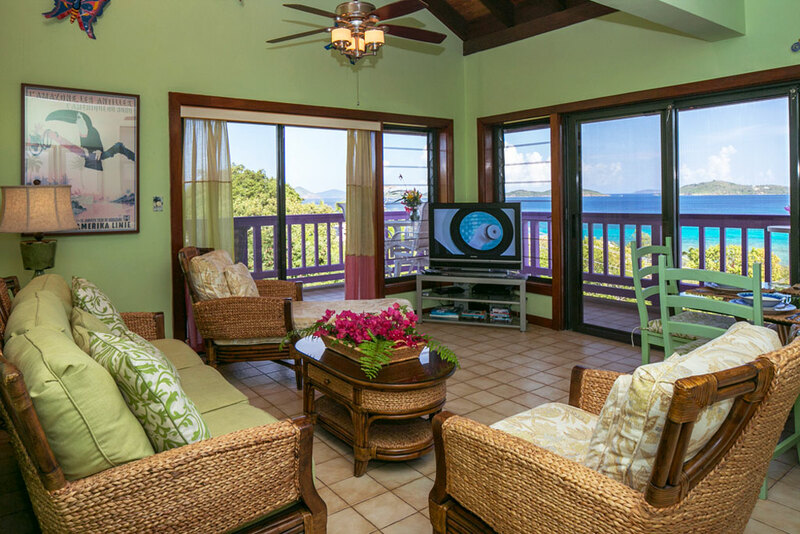 The premier 2 bedroom penthouse with unexcelled views and panoramic vistas offers a large wrap-around deck for private outdoor entertainment plus the amenities of a luxury villa in the Caribbean. 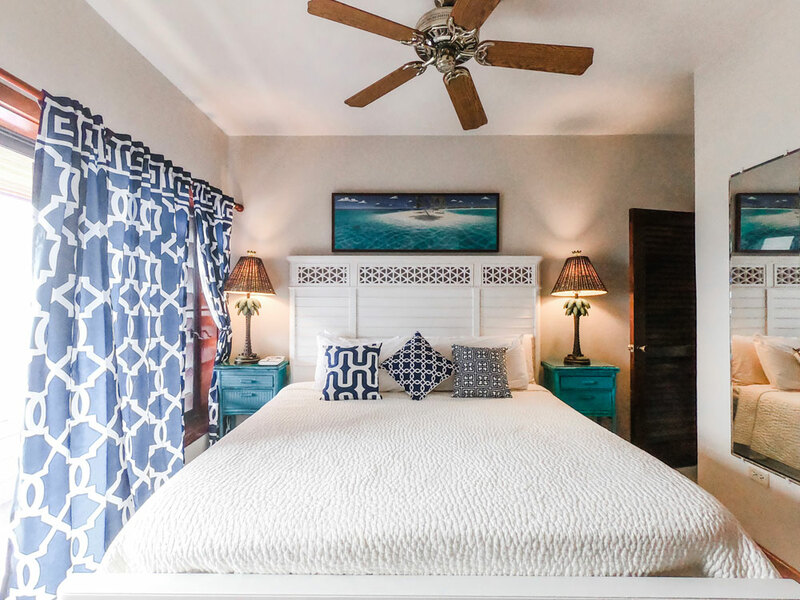 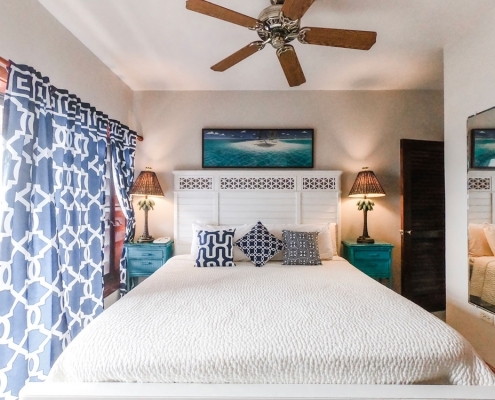 Unit 3W, one of our two premier units, offers Caribbean elegance in a two-story, townhouse-style home with two bedrooms and two full baths. 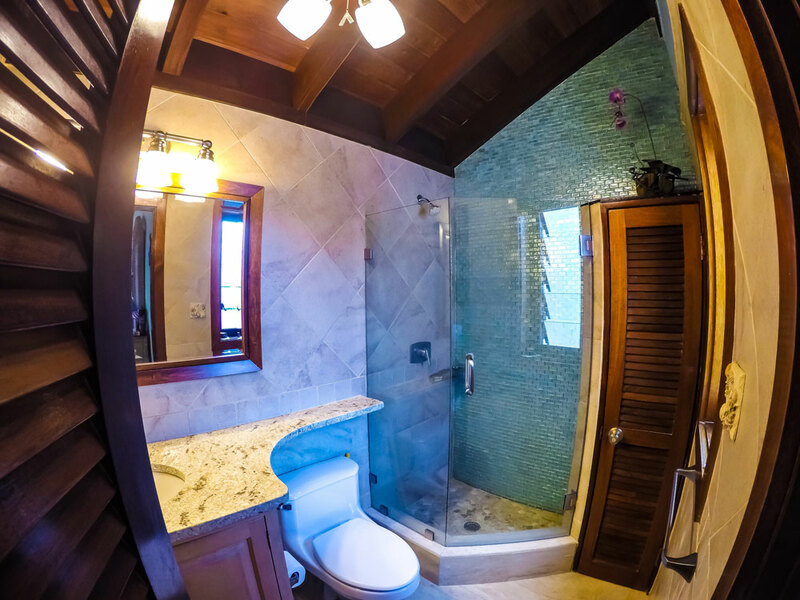 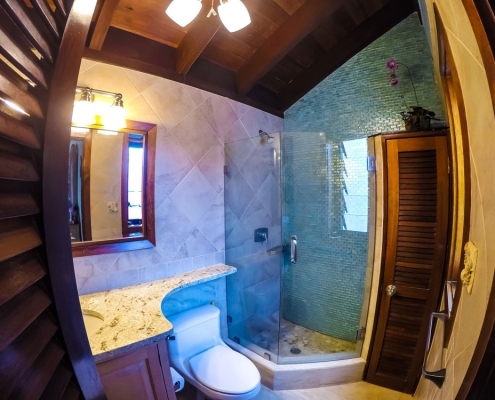 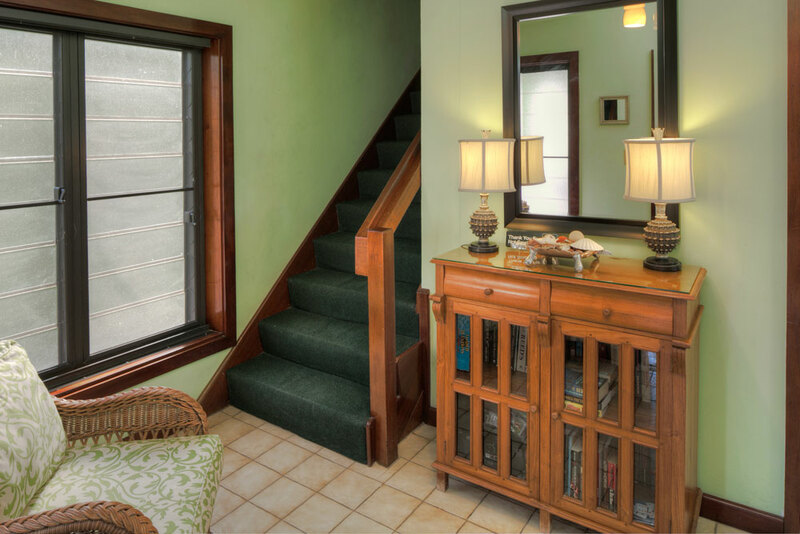 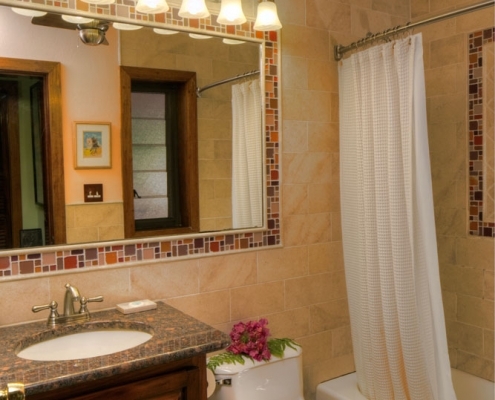 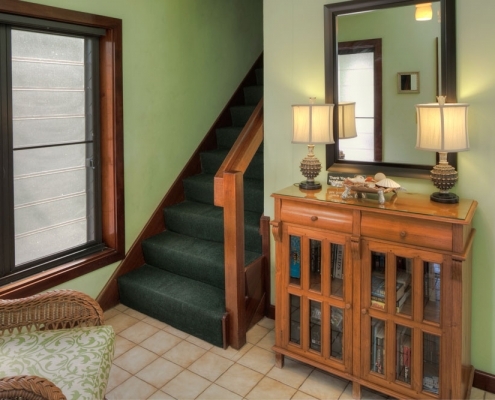 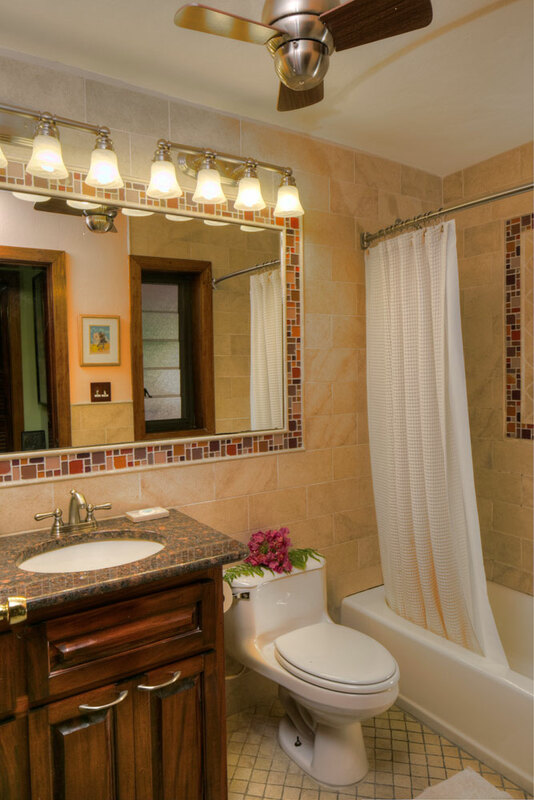 The downstairs hall bath is beautifully designed with travertine tile with sea glass accents. 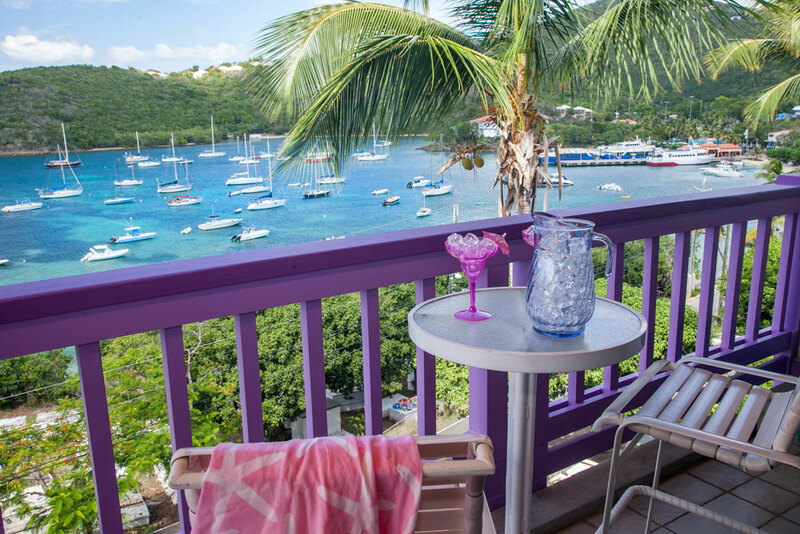 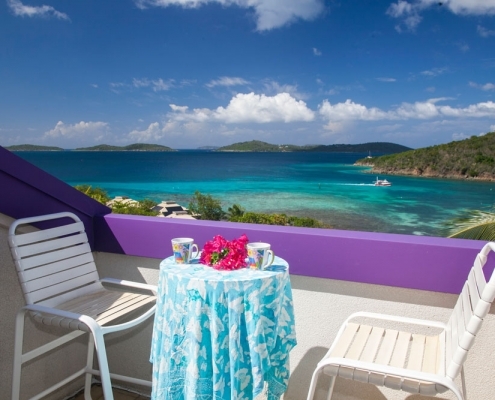 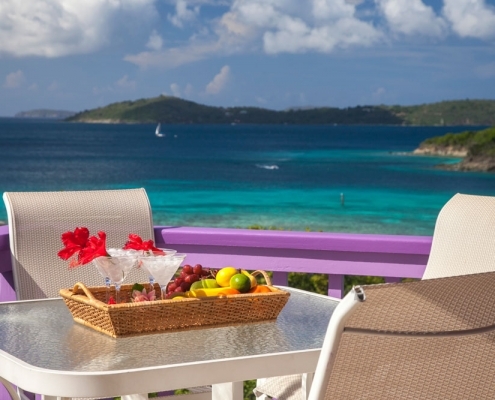 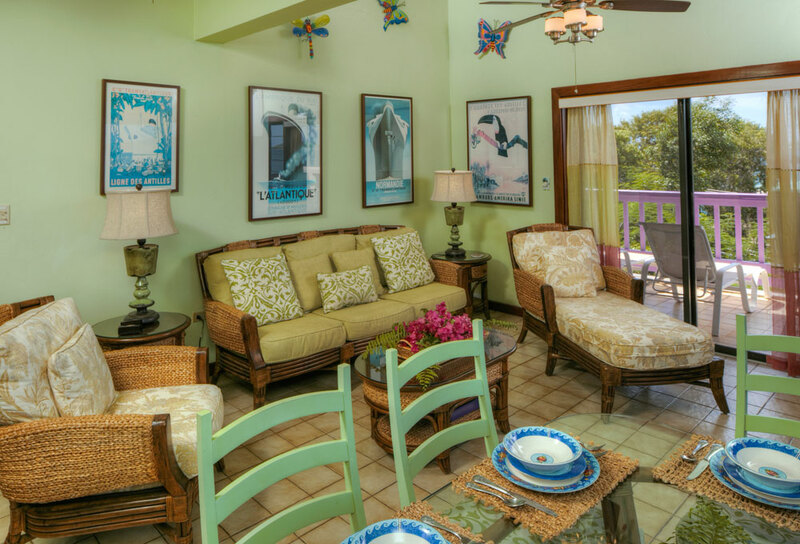 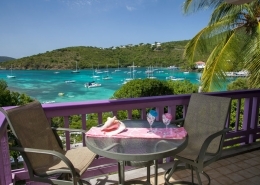 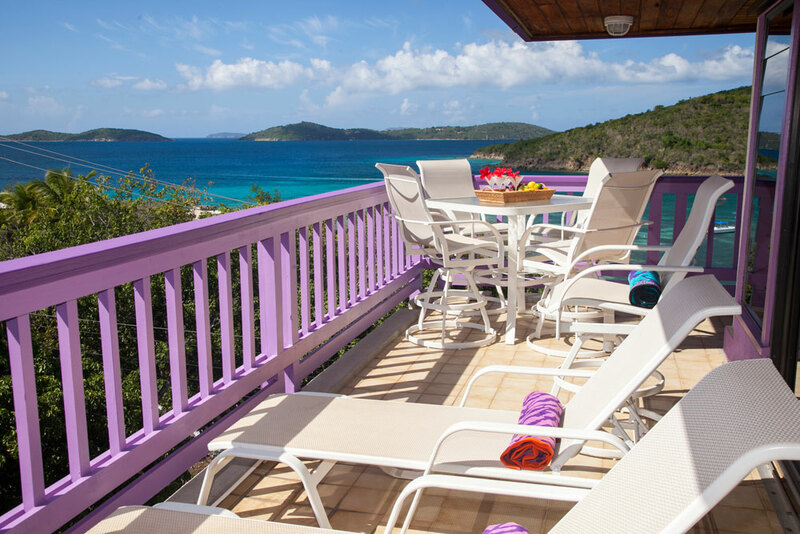 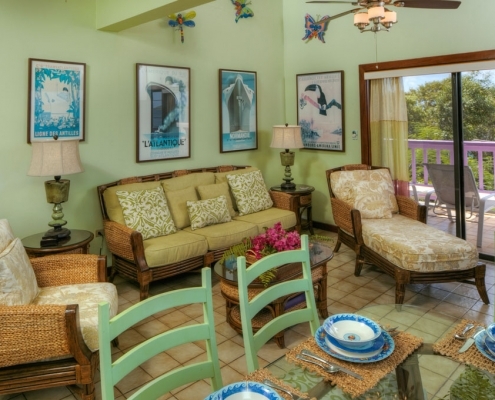 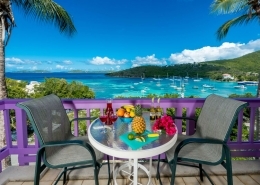 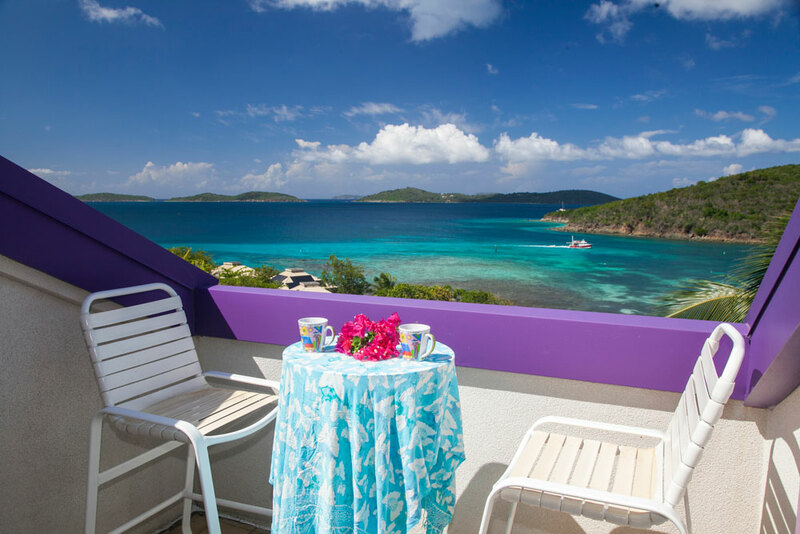 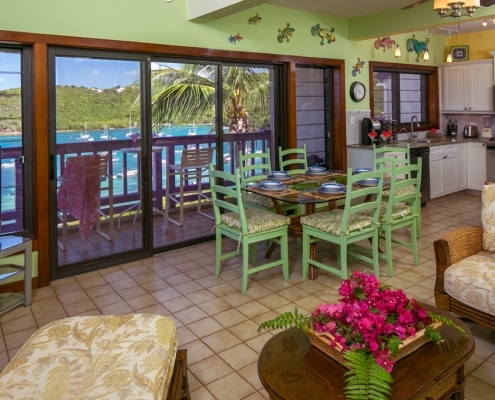 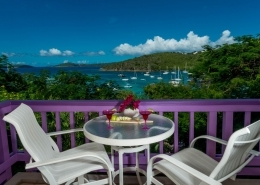 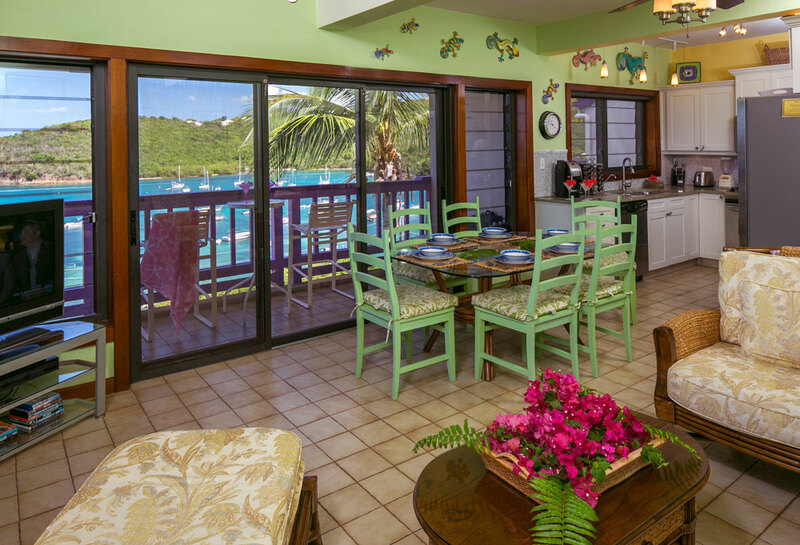 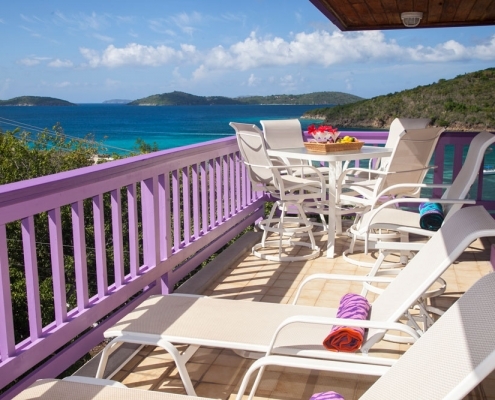 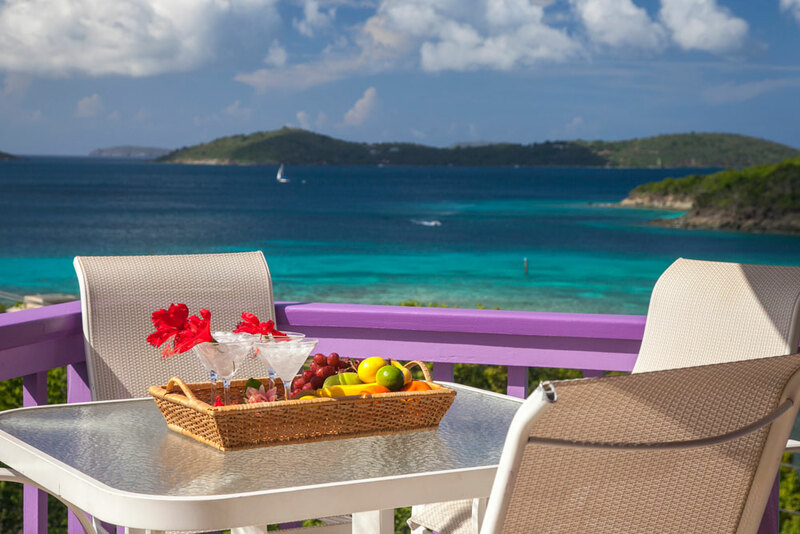 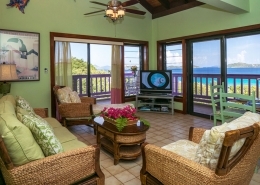 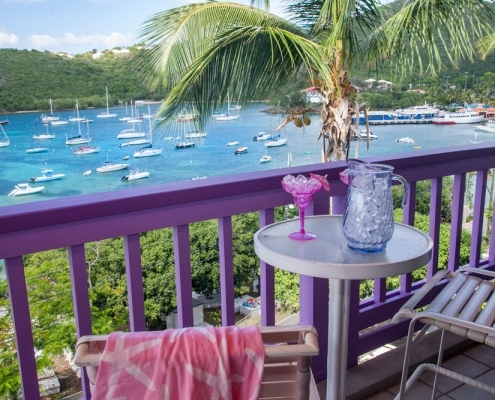 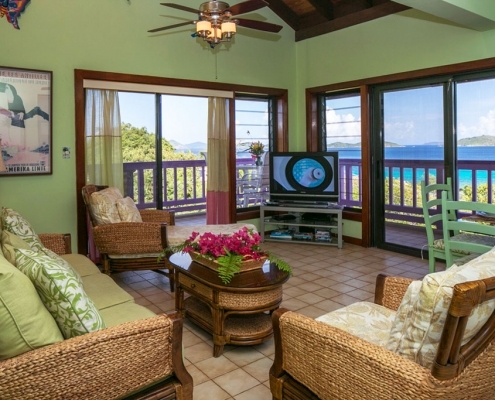 From its wrap-around, covered deck facing west and north, 3W’s stunning views look out over the sea, the islands, and even Cruz Bay harbor. 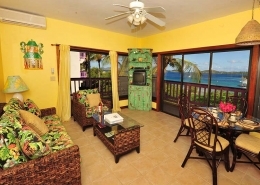 You see it all from 3W! 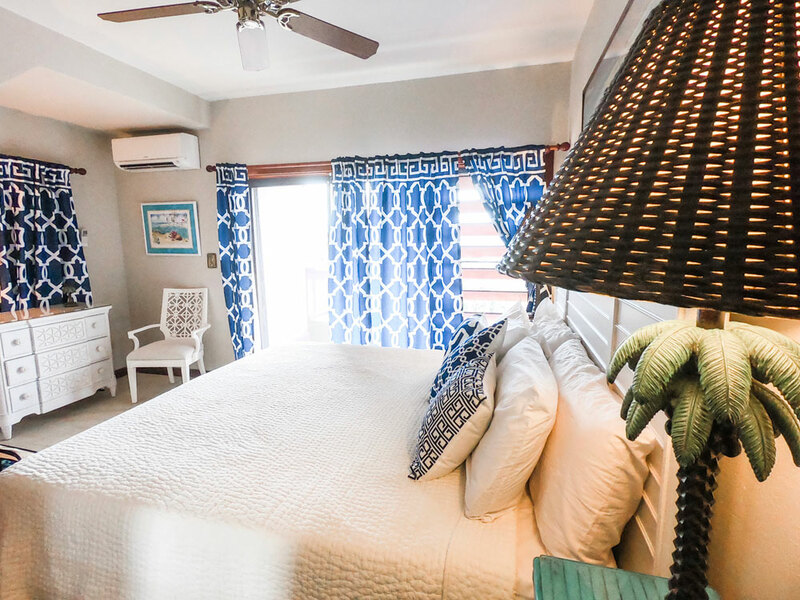 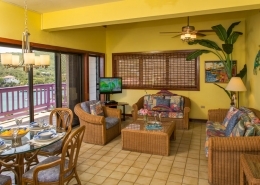 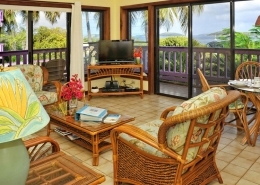 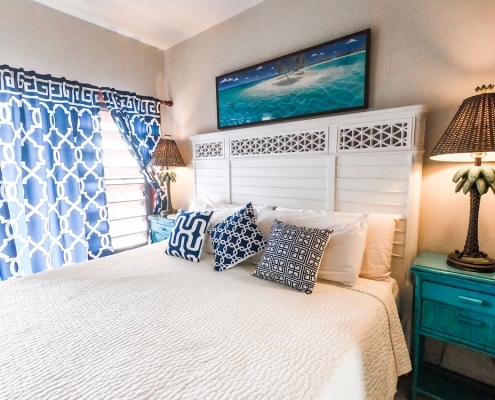 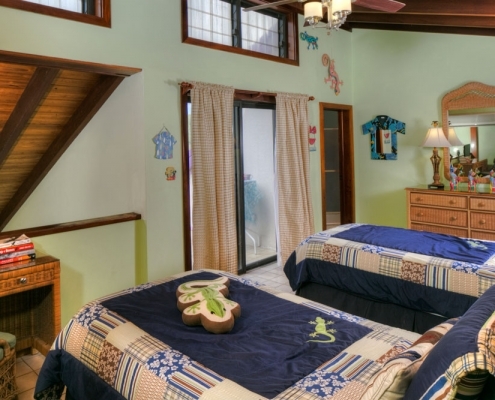 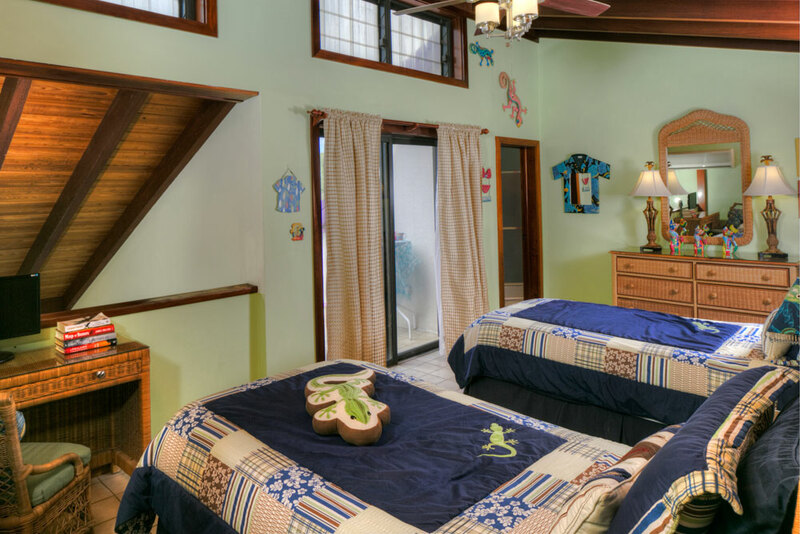 The downstairs bedroom is the master with a king bed; upstairs has two twins and a computer area with printer and private sun deck with panoramic views of the Caribbean. 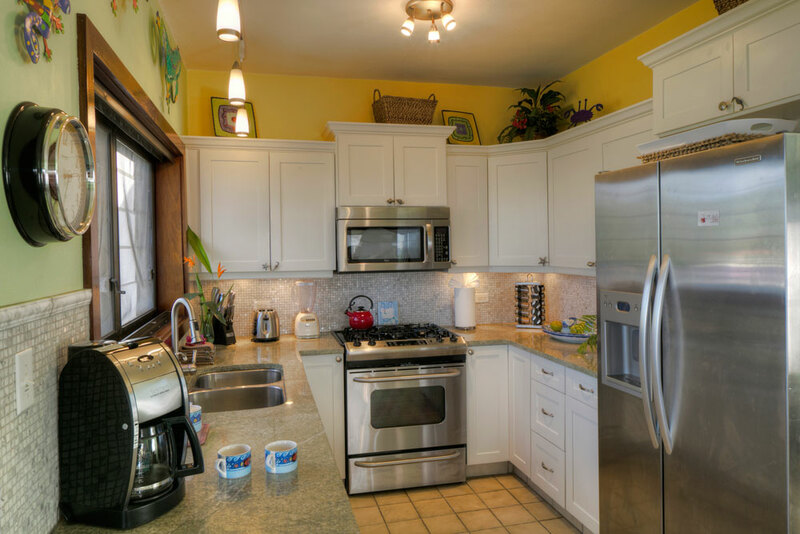 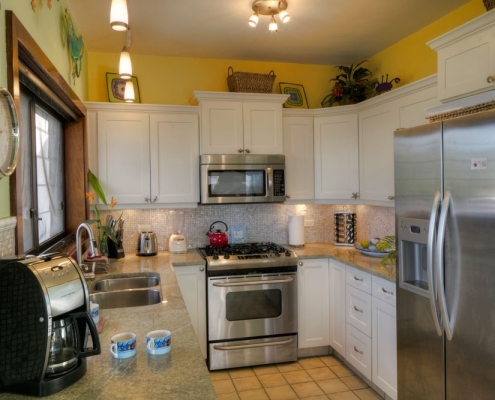 3W’s living room enjoys a flat screen TV, BlueRay/DVD player and stereo, and the gourmet chef’s kitchen has granite counter tops, stainless steel appliances, pendant and under-cabinet lighting, and full complement of cooking and serving ware. 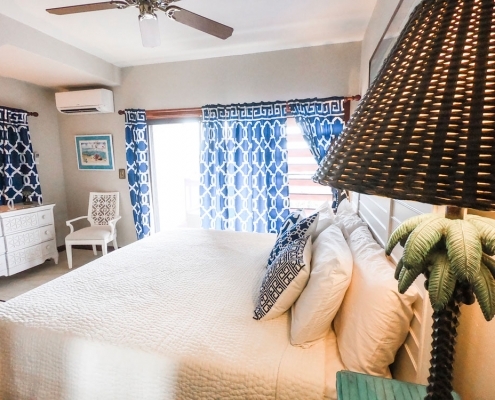 Like all units, 3W is air-conditioned and offers backpack style beach chairs, coolers, and beach towels.